A chance meeting with the GHOSTBUSTERS while posted in New Mexico led MELANIE ORTIZ to a friendship with PETER VENKMAN. When visiting him on a trip to NYC, she witnessed his abduction and fell into a role busting ghosts in place of the original Ghostbusters. 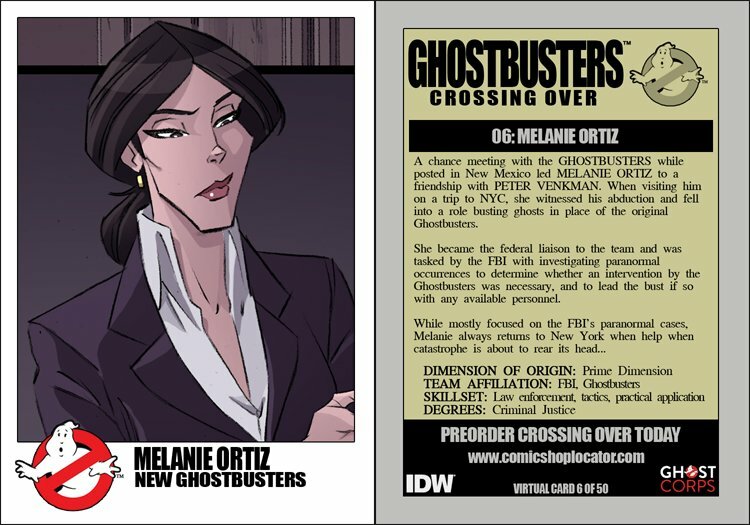 She became the federal liasion to the team and was tasked by the FBI with investigating paranormal occurrences to determine whether an intervention by the Ghostbusters was neccessary, and to lead the bust if so with any available personnel.